When the core group of Khmer Christian Church (KCC) first started meeting, we decided that raising and discipling other church planters and planting other churches needed to be in the DNA of our ministry. This led KCC to move in two ways. First, even before our first worship, KCC organized a mission trip to villages in a flooded area in the north of Phnom Penh with thirty university students. We prayed that God would use this to work in the hearts of the students and deepen their faith and, for some, receive a call to mission work. Second, shortly after our first worship, Pastor Samath and Paul asked Pastor Tet to join KCC to work in helping in the area of evangelism and discipleship. 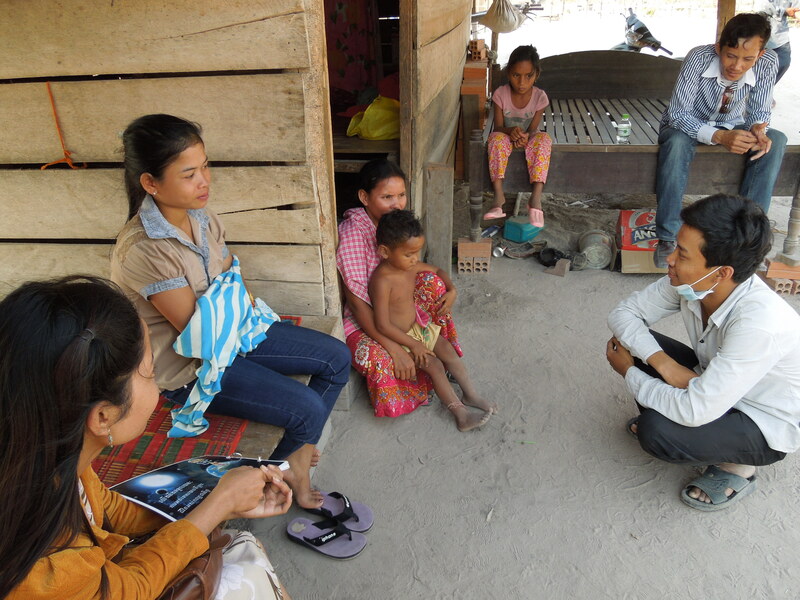 Pastor Samath would also help in training Pastor Tet to church plant in the village. God has blessed the early seeds of this work. 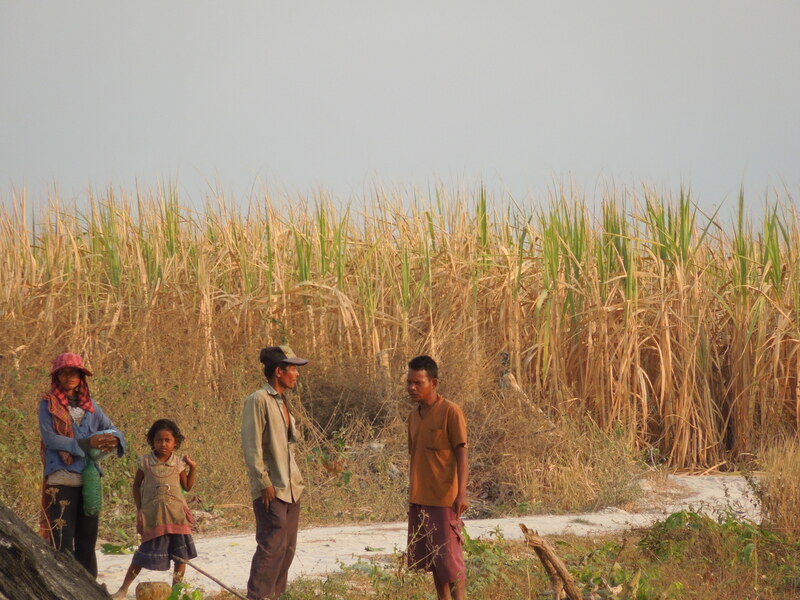 In January of this year, almost a year after our first service, KCC sent a mission team to Preh Thom, a village about 95 km south west of Phnom Penh (about 2 1/2 hours by car). The village is only eight months old and was established near a sugar cane plantation where the men of the village work in the fields during the day. There are about 400 families in this village and there is no church and there has never been an outside Christian witness. 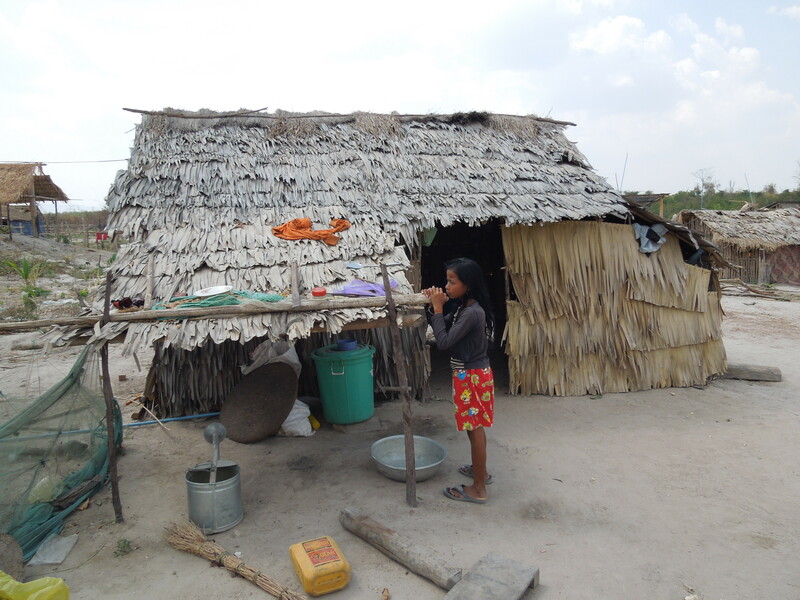 Most of the homes in the village are thatched roofed shacks with no electricity. Water is drawn by the older children during the day at a few wells scattered about the village. While the older children help with chores, the younger children play together while the parents work in the sugar cane plantation. They are still waiting for a school teacher to be sent by the government to teach their children. At the end of January, Pastor Tet and his wife, along with ten university students, spent three days going door to door, asking if they could share the Good News and if they could pray for them. On the evening of the second night, ten families that heard the Gospel, gathered in one of the homes and the KCC team had a prayer and Bible study time with them. Included in the ten families was the head of the village. The following morning Pastor Tet led a devotion time. One of the families volunteered their home to be used for worship and prayer on future visits. When the team returned to KCC, they shared about all that God had done and how blessed they were through what they had witnessed. The university students were especially excited to be able to share the Gospel and were encouraged by the power of the Holy Spirit working through the Gospel. The experience deepened their faith and helped them to realize that indeed the Holy Spirit does quicken the hearts of people and gives new life. Many were excited to continue visiting and working in the ministry at Prey Thom. 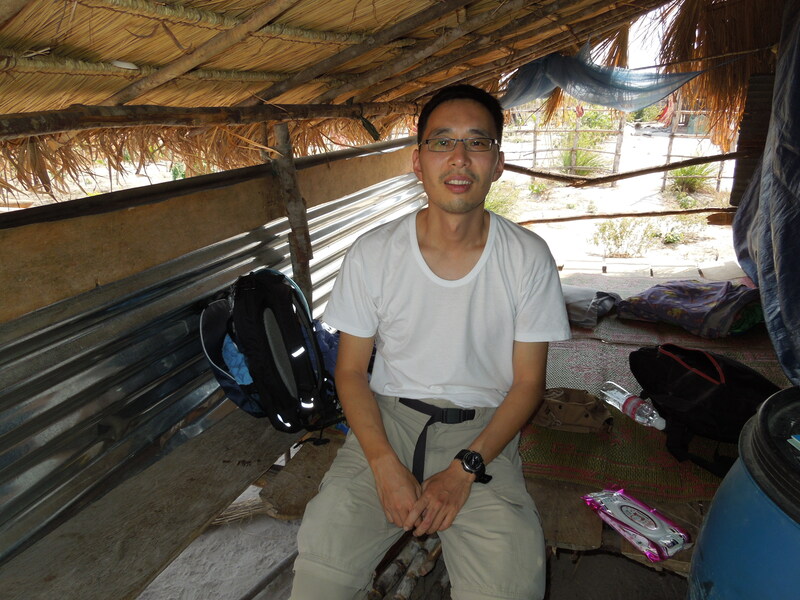 Pastor Tet has been returning to the village every other week and has been focusing on discipling the new believers there and encouraging them to listen to the Gospel and evangelize to their relatives and neighbors. Not all the people in the village can read so KCC is currently trying to get a hold of audio-Bibles in Khmer so that many can still have access to the Bible. What is exciting about this mission work is that it is primarily the work initiated and led by our national Khmer partners. Our only role was that of support, in terms of prayer, visitations and consultation with regards to church planting. The vision, the planning and the execution was done through the national leadership at KCC. This is the next generation of church plants, and we are excited what God will do in the future. We do not know how God will work or if the church plant in Prey Thom will “succeed” but we are hopeful that God will continue to bless this work and allow it to grow. 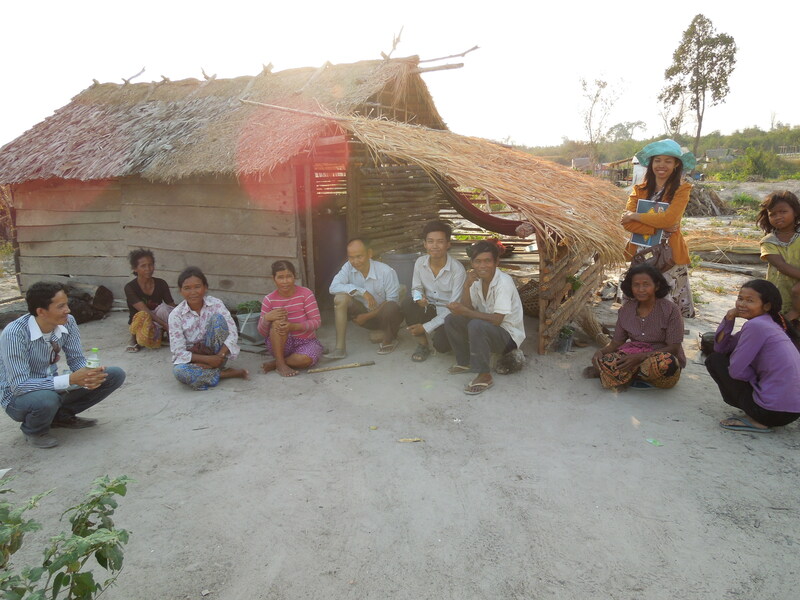 Khmer Christian Church – Pray that God would continue to develop a mission heart at KCC. Pray that He would work in the lives of the university students at KCC, that from this group of believers God would raise the next generation of missionaries. 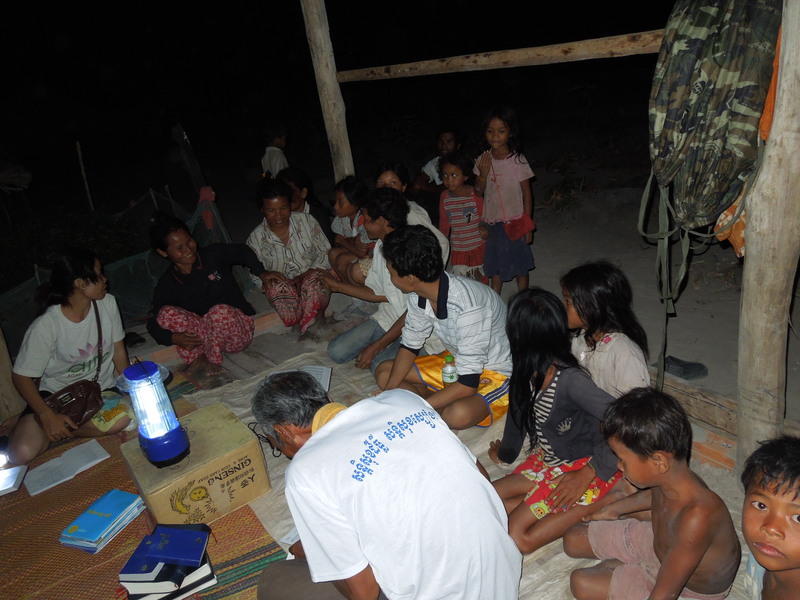 Pastor Tet – Pray that God would use Pastor Tet as he evangelizes to and disciples the villagers in Prey Thom. Pray for physical safety during his commutes to and from Prey Thom. Prey Thom – Ask the Holy Spirit to work in the hearts of the villagers and that they would respond to the Gospel.